1 1/8 in. 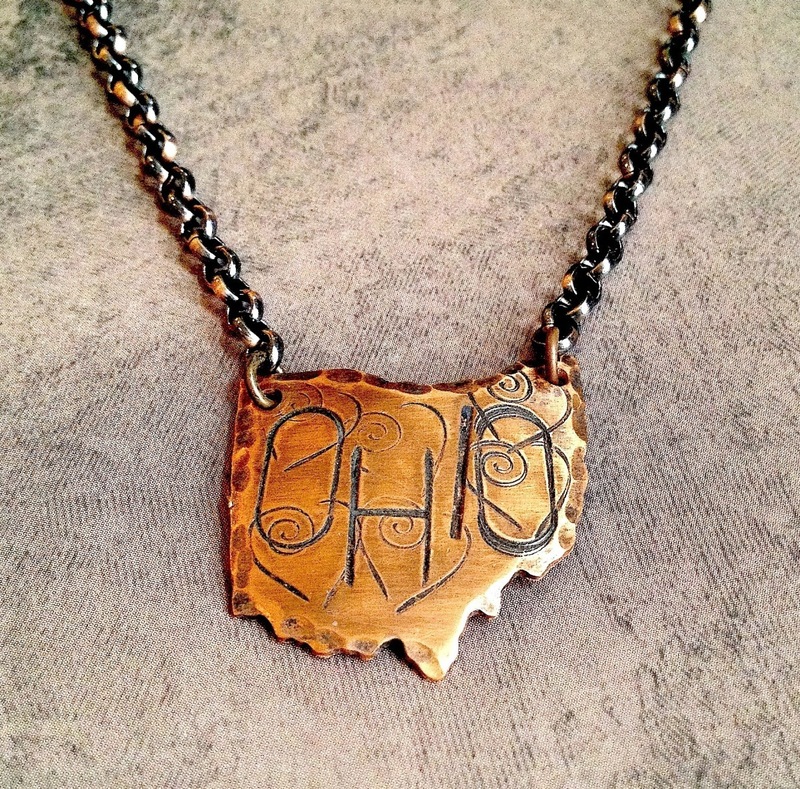 copper , hand stamped . 18 in. base metal chain with lobster clasp.